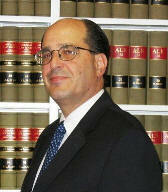 Michael Kalmus is of counsel to the firm and primarily practices in the firm’s New York City office. Born: Bronx, New York, February 18, 1954. Admitted to bar: 1980, Georgia; 1981, New York; 1991, New Jersey. Also admitted to the U.S. District Courts for the District of New Jersey, Southern District of New York and Eastern District of New York. Education: State University of New York at Stony Brook (B.A. 1975); Emory Law School (J.D., 1980). Deputy Chief of the Rackets Bureau in the Bronx District Attorneys Office (1984-1988). Appointed Special Assistant United States Attorney for the Southern District of New York. Practice Areas: Asset recovery, creditors’ rights, debt collection, business transactions, commercial litigation, corporate law, criminal defense, real state, employment, and securities arbitration.